If there's a food combination I love most, it's got to be peanut butter and chocolate. (Although pretzels and caramel run a close second.) Which is why it breaks my heart a little that I don't like Reese's Peanut Butter Cups. At all. The peanut butter always crumbles weirdly and has the texture of powder, which makes me think of artificial ingredients and preservatives. I've never even dared to look at the ingredient list or the label. 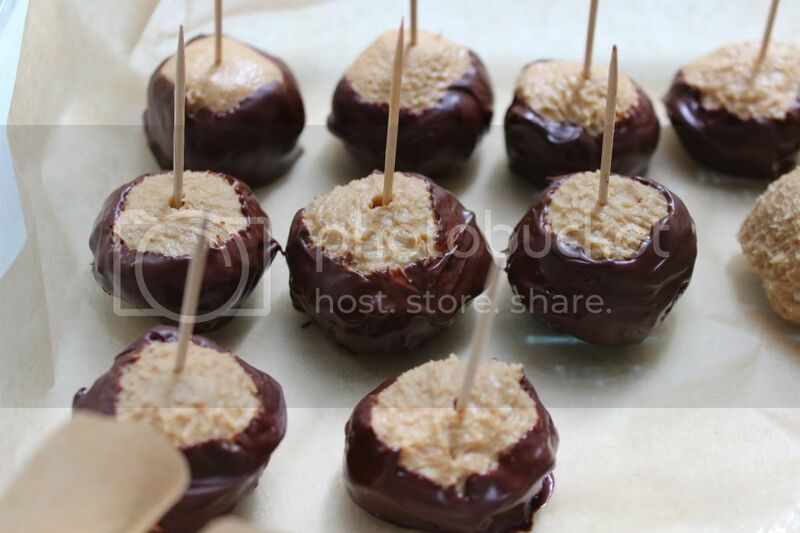 So, when it comes to peanut butter and chocolate candy, I tend to err on the side of caution and make my own. Line a baking sheet with waxed paper or parchment. In a medium bowl, beat peanut butter and butter with a wooden spoon until thoroughly combined, about 2 minutes. Gradually mix in confectioner's sugar in batches, kneading with your hands to form a smooth dough, about 10 minutes. Using the palms of your hands, roll mixture into 1-inch balls and place on prepared baking sheet. Cover and chill in refrigerator, about 2 hours or up to overnight. 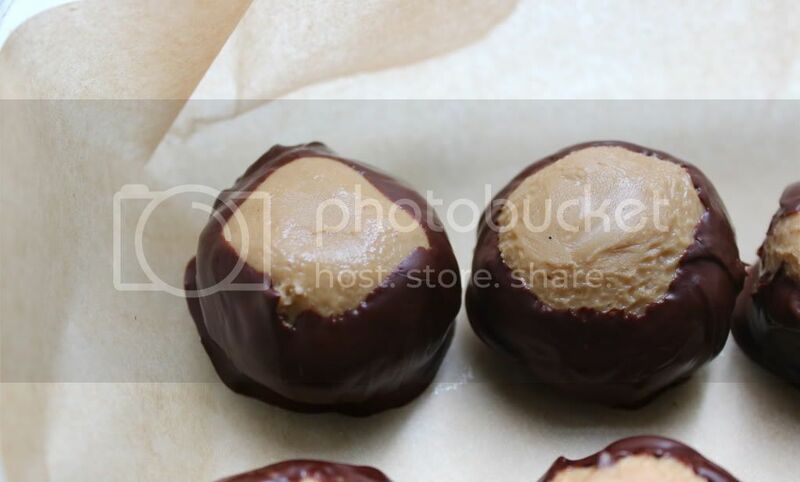 I had always heard about 'buckeyes' so decided to tried at my son`s birthday. The peanut butter is a bit much for me but my son and grandson loved them and he would eat them until he was sick if allowed. Did you know that Skippy's makes a natural peanut butter that looks, feels, and tastes JUST like the hydrogenated garbage we all know and love? It's sweetened with honey and contains no weird ingredients. Now we can all have that "fake" texture that works best for recipes like this without sacrificing health!